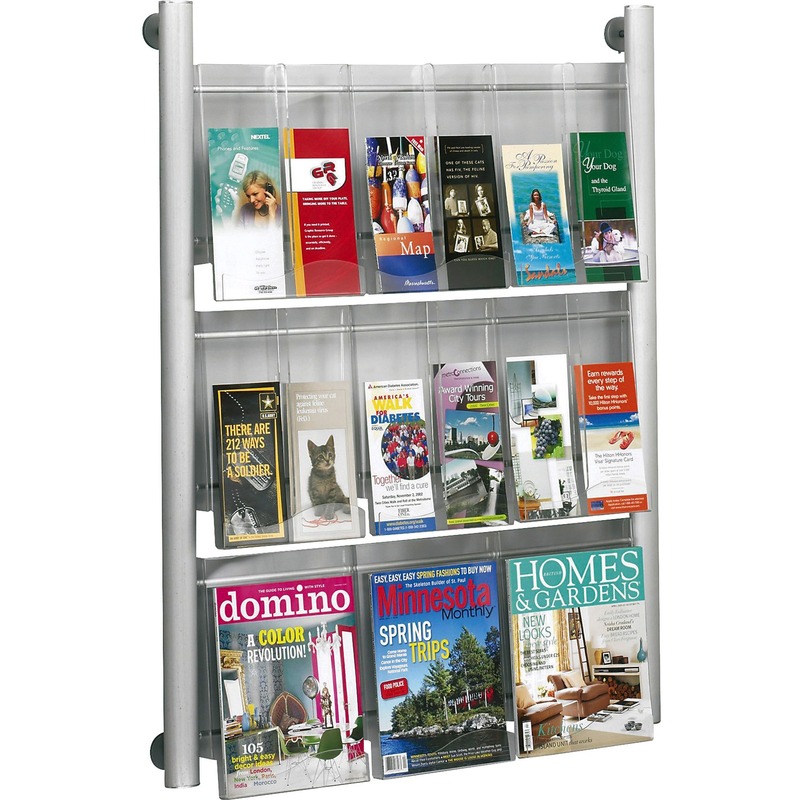 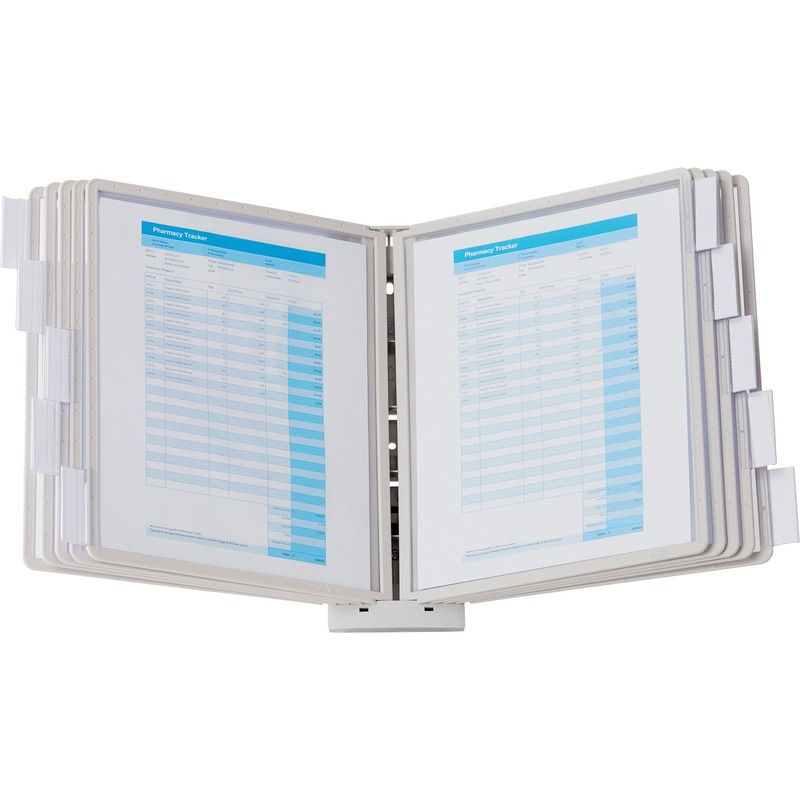 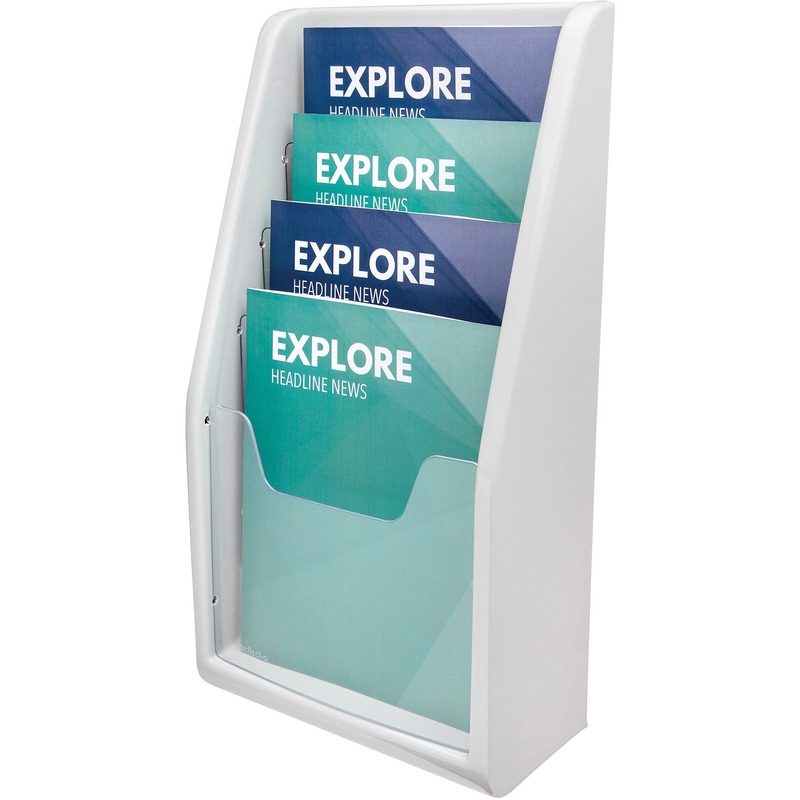 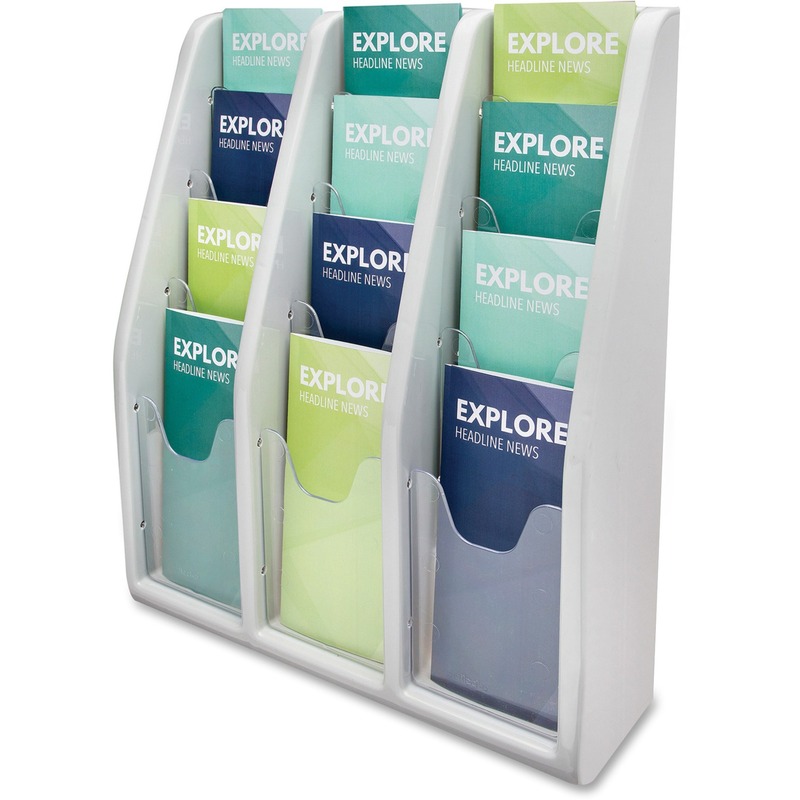 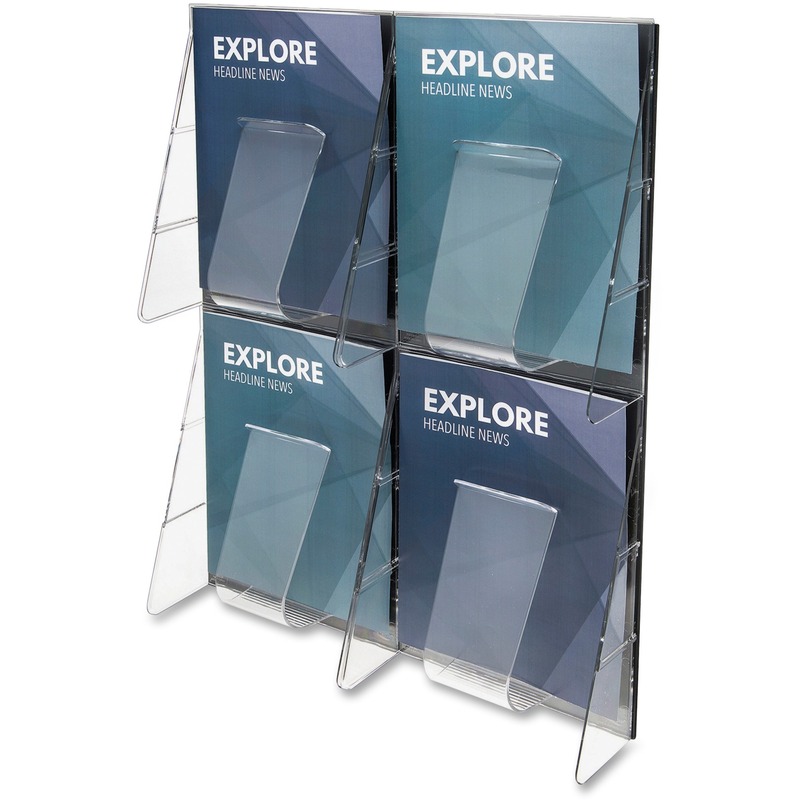 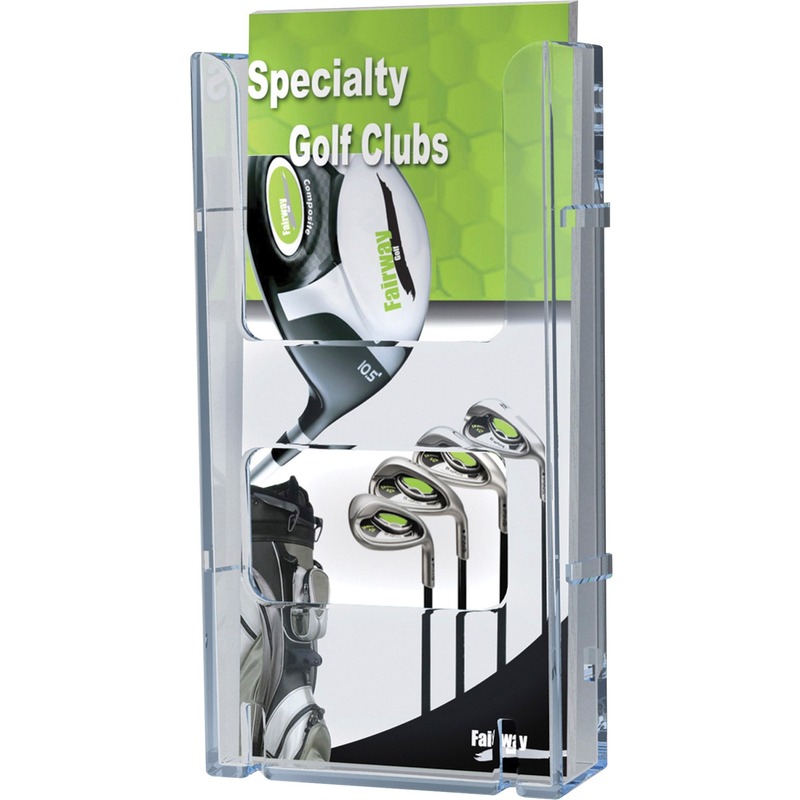 Mount steel E-Z Stor® Literature Organizer at eye level for easy access with steel wall mount brackets. 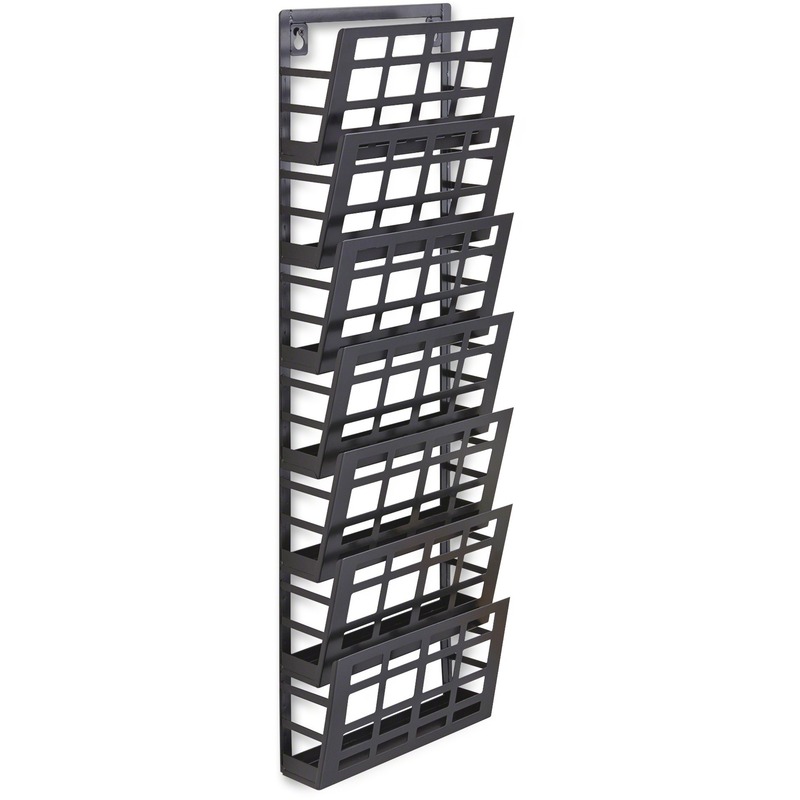 Designed to fit 24" and 36" units. 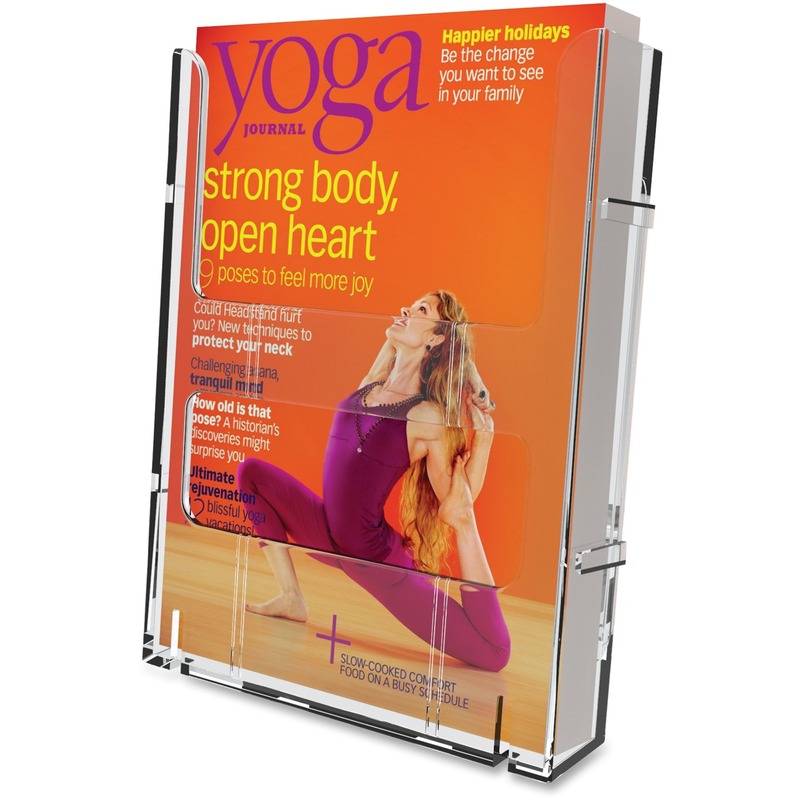 Upscale display with a sleek silver-coated, brushed aluminum frame. 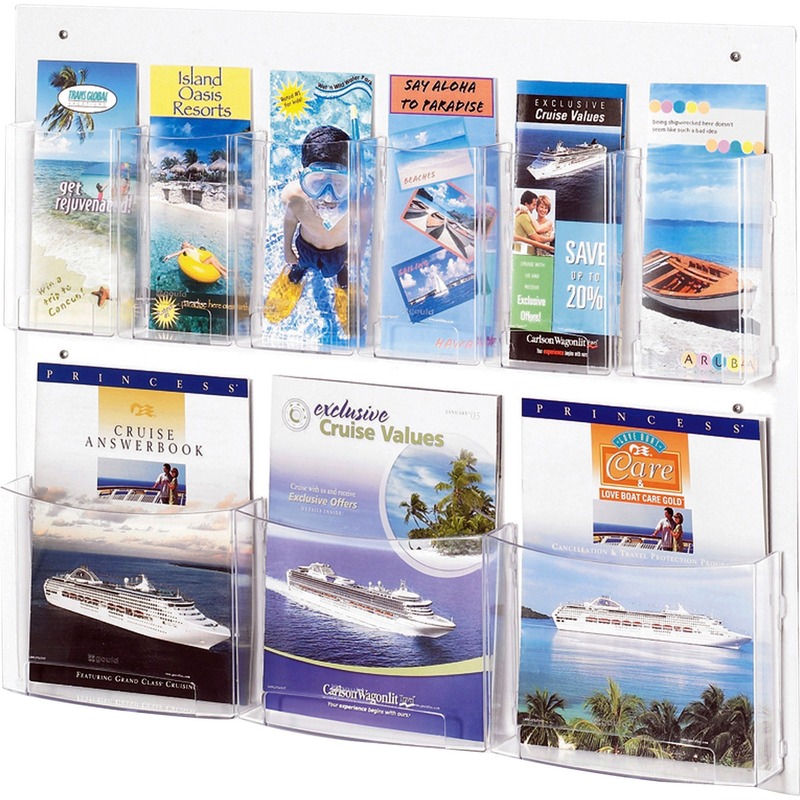 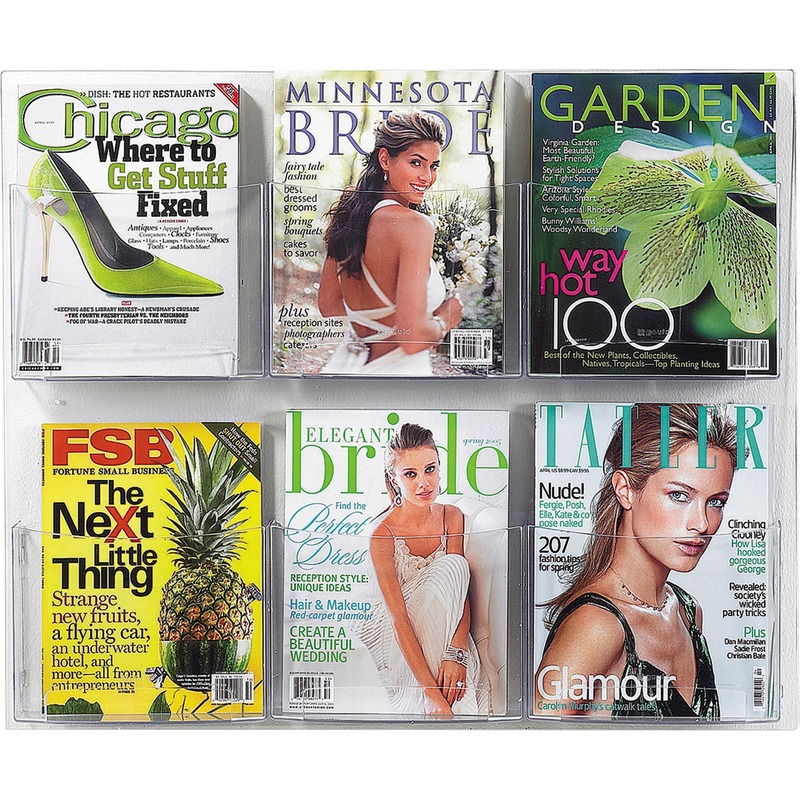 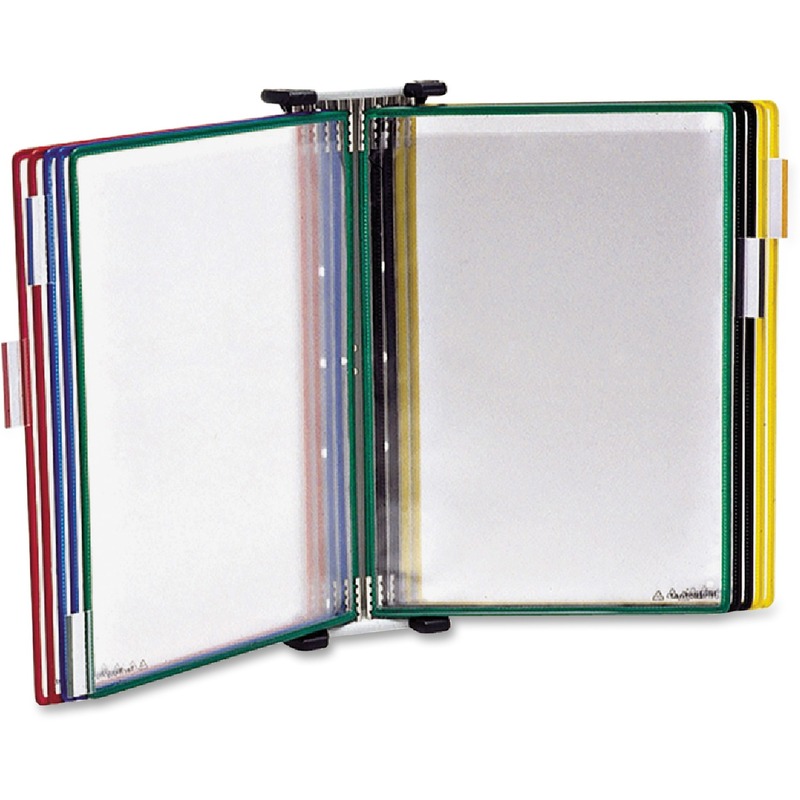 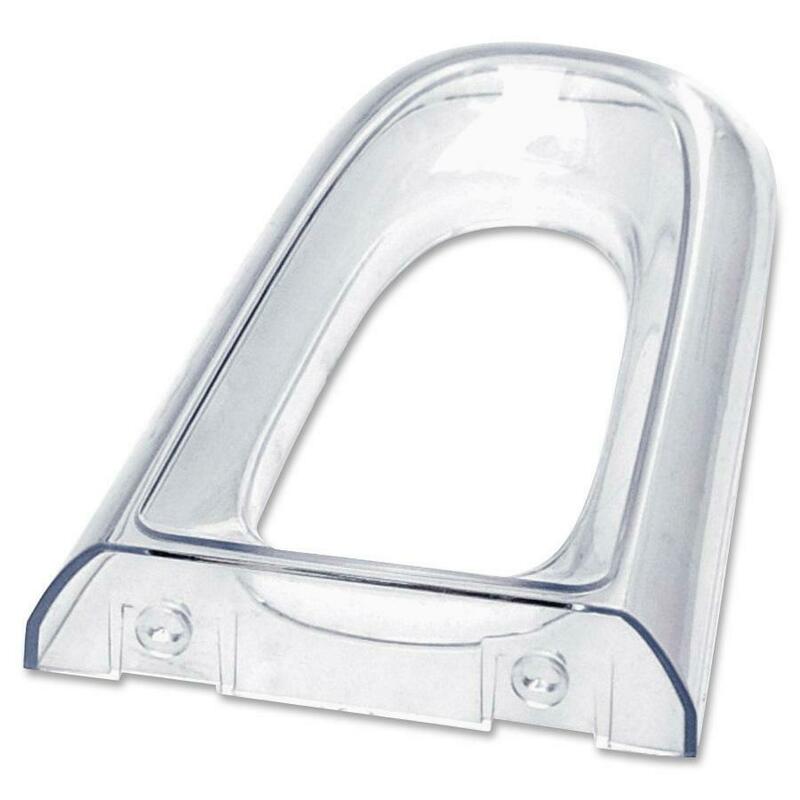 Clear acrylic pockets offer optimum visibility.